A yogini since age 23, Annelise suffered from a major back and neck injury, and finally realized that some yoga was hurting instead of helping her. 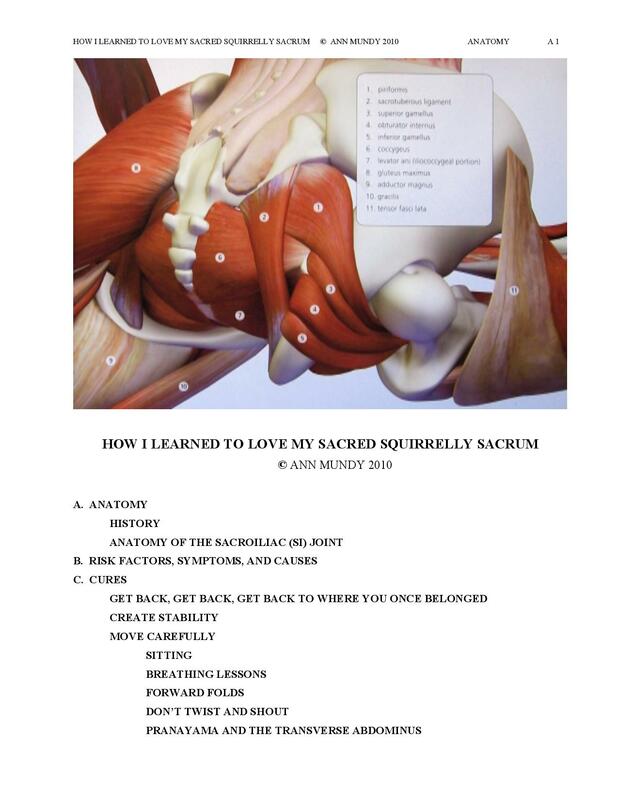 For her 200-hour and 500-hour certifications in Therapeutic Yoga, she wrote extensive research papers on the sacroiliac joint, back problems, and anatomy. In the process, she developed Bluebird Yoga, a unique yoga practice that restored her health — healing her chronic pain and transforming her posture. She is known as a “Posture Coach”. Now she wants to share these healing therapeutic postures, breathing techniques, and energy medicine that alleviate pain, develop abdominal strength for back support and great posture, and renew energy. Her personal story and magnificent healing from physical trauma are an inspiration and the perfect foundation to share her healing techniques. Her students run the gamut from those who simply enjoy the benefits of Bluebird Yoga to those with arthritis, PTS, TBI (Traumatic Brain Injury), Parkinson’s, spinal cord trauma, MS, osteoporosis, sciatica, S-I joint, or general back pain caused by sitting at a computer, gardening, running, bicycling or general stress. Annelise is a RYT 200 and RYT 500 graduate of Subtle Yoga Teacher Training in Asheville with Kaoverii Weber. 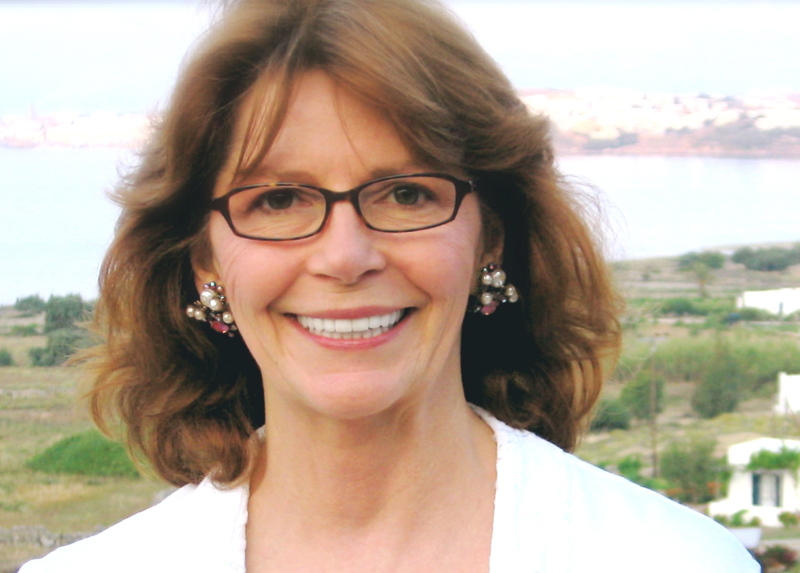 She studied Moving Medicine with Emilie Conrad at Continuum in L.A., Forrest Yoga with Ana Forrest in Santa Monica, and The Thinking Body – The Feeling Mind with Linda Lack in L.A., and many others. She also uses Viniyoga, Energy Medicine, and numerous traditional breathing techniques. Her work is based on 15 years of on-going deep research, plus experimentation on herself, starting with terrible posture and 30 years of chronic neck and back pain from a traumatic injury. She is a Certified Yoga Therapist with the International Association of Yoga Therapists, and offers one-on-one, individualized Yoga Therapy sessions to students seeking help with specific health challenges. Annelise teaches private sessions and small groups at Bluebird Studios, her beautiful home studio in West Asheville. She currently teaches at OLLI (Osher Lifelong Learning Institute) at UNCA, University of North Carolina, Asheville. Here she’s taught 18 semesters over 8 years (Therapeutic Yoga for Healthy Backs; Yoga for Posture 101; Yoga for Arthritis). 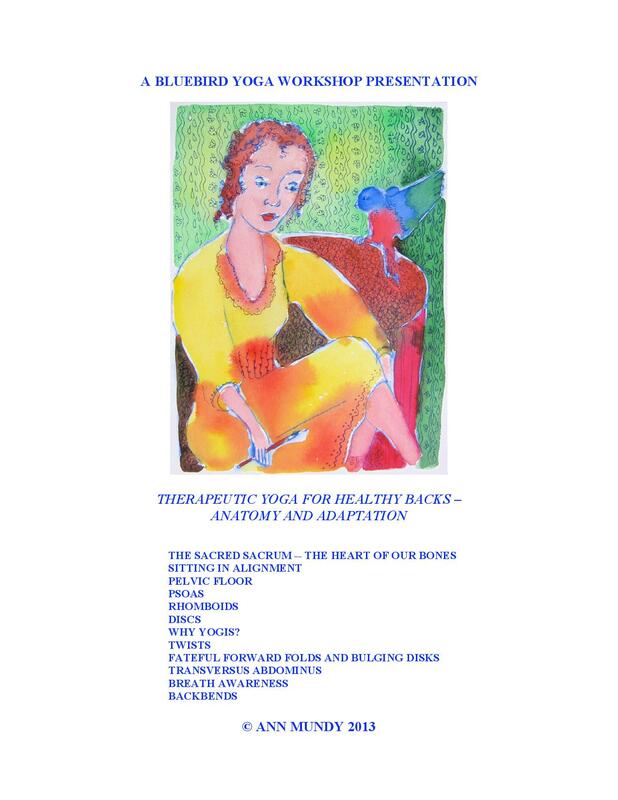 Her weekly evening class at Town & Mountain Training Center since 2013 (Yoga for Posture 101; Therapeutic Yoga for Healthy Backs, and Yoga for Pain Relief) is currently on HIATUS until early 2019. Annelise’s volunteer work includes a series at Hind’s Feet Farm, a center for TBI (traumatic brain injury) clients, and at Homestead House, a rehab center for Homeless Women. Annelise is an experiential educator, award-winning photographer, and TV documentary writer-producer-director whose independent documentary has been seen by millions on BBC and around the world. Her latest work was for HGTV, Fox syndication, and the History Channel. She often includes multi-media of anatomy in her classes, and is currently filming a documentary on folk artists in Oaxaca, Mexico.